Lock in a great price for Barn Lodge – rated 8.4 by recent guests! Upon request, our host provided fresh milk for our tea (which was lovely) and graciously accommodated last minute change to our arrival time. Peaceful and relaxing neighbourhood and atmosphere. Thank you for hairdryer! The village is very quiet and there is a pub opposite where you should be given a glass of house when ordering a main meal. 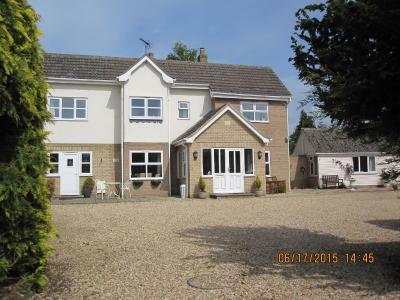 Nice location in a small quiet village but easy to get to Market Deeping. Friendly and helpful owners. In some aspects (washing machine, iron, ironing board, clothes rack, fridge etc. 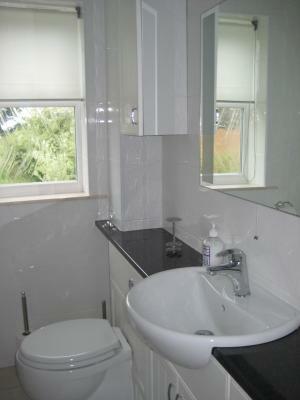 Large light room with mini kitchen and good sized bathroom. all good for a short stay. The lovely pub opposite were also very welcoming and did great pub food. Clean, spacious annex to the house. Great twin beds, slept well. Plenty of easy parking. Being an annex could have the TV on loud if wanted but also easy to come and go No breakfast but not an issue, fridge in the room. Spent 3 nights during Burghley 3 day event...ideal location about 5 miles away and on the ' right' side to avoid traffic. Good pub opposite. Will rebook in future. Michael is a very welcoming and helpful host. Nice twin beds (we are friends, not a couple), very comfortable. 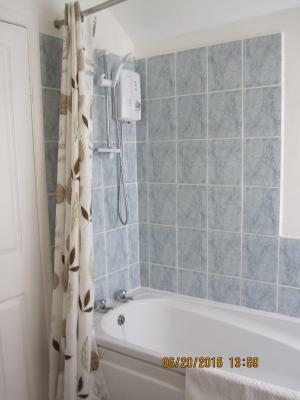 Room and bathroom light, bright and spotlessly clean. Attractive, very quiet village. Not a lot to see in the immediate neighbourhood, but Stamford, just a few miles away, is the finest stone-built town in Britain (so they say, we would agree). We also visited Burghley House, a splendid stately home. Excellent price. Good location, a modern clean comfortable room . Would make a good base to explore the local area. 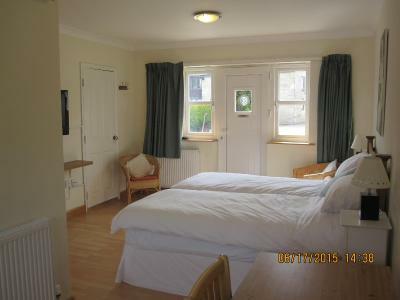 Bedrooms include a seating area, a work desk, a fridge and tea/coffee making facilities. The private bathrooms include a bathtub and shower. There is luggage storage space at the property, and the guest house also offers bike hire. Lunch and dinner can be taken at the Red Lion, 1,000 feet away, and breakfast is available in nearby Market Deeping, just 2 miles away. 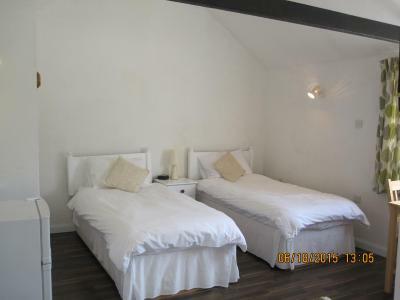 Barn Lodge is a 20-minute drive from Burghley House. Stamford is 6 miles from the guest house. Guests are 1.4 miles from Tallington Lakes Leisure Park where they can enjoy a dry ski slope and water sports. When would you like to stay at Barn Lodge? 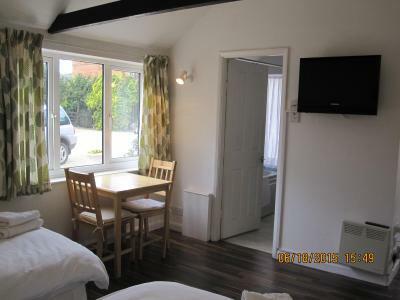 Bedrooms include a work desk and seating area, and tea/coffee making facilities including a fridge. 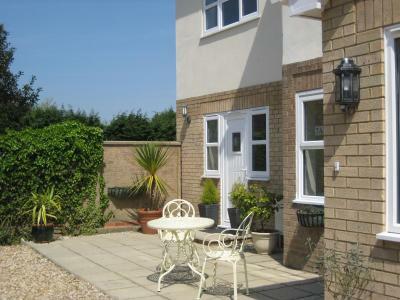 This double bedroom offers a private entrance and patio area. Bedrooms include a work desk and seating area, and tea/coffee making facilities including a fridge. 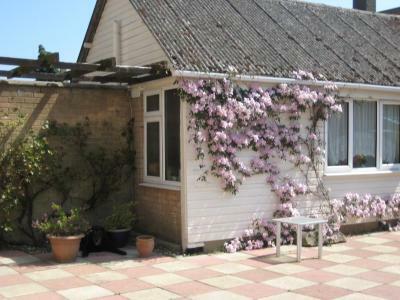 Barn Lodge is situated in a quiet rural village yet in close proximity to Peterborough Main line station) and Historical Bronze Age settlement, Stamford, Burghley House and Tallington Lakes. The local village pub serves excellent food and is within a short walk. We have off road , secure parking. House Rules Barn Lodge takes special requests – add in the next step! Please note, meals are not included in bookings. Early check-in may be requested up to 1 hour before arrival, but this is subject to availability. Please inform Barn Lodge of your expected arrival time in advance. You can use the Special Requests box when booking, or contact the property directly using the contact details in your confirmation. 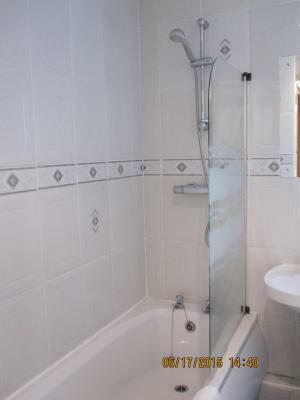 The flow of water in the shower was very poor - no toilet paper for use in the toilet. Room was very cold. Double bed had two single quilts? Stains by side of toilet,no sugar for coffee, went out and bought some have left it there for them. Phil in his cave ! Cobwebs all over the room. No fresh towels, had to ask on 4th day. Wood lice crawling around in the room. Noise from the room above due to laminate floor. Noise from the above shower and toilet and the boiler. Off milk in the condiments tray. the step into the entrance was a dangerous trip hazard as i had a nasty fall on entry, inside there was a disclaimer against injury so this has obviously happened before , the electric shower went from normal to freezing or boiling on its own. All in all quite a dangerous place. No breakfast is a bit of a problem - we liked Central Café in Stamford for breakfast, good quality and a good choice of breakfast dishes (but unfortunately no fruit). Parking is difficult in Stamford, so it is only worth going there for breakfast if you are planning to stay there at least several hours, looking round. Breakfast in Market Deeping (pub) less good. Michael provides a fridge, so you could organise your own (basic) breakfast in the room. Pub across the road does evening meals (not Sunday or Monday). Quality is fairly good. Cheap price. I didn't realise it was a room in a house, I was expecting a separate/own entrance kind of area but it didn't dampen our time too much.